Store No 8 has acquired Spatialand, a VR platform and content studio. 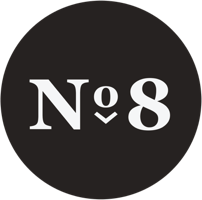 "We are thrilled to announce our acquisition, which will create the foundation of Store No 8’s third portfolio company," said Katie Finnegan, Principal and Founder of Store No 8. "The team will develop and explore new products and uses of VR through immersive retail environments that can be incorporated by all facets of Walmart, online and offline." The new venture will operate in stealth with Kim Cooper and Jeremy Welt at the helm as co-founders. Cooper is a two-time Emmy nominee and creative executive in design and entertainment utilizing VR / AR / MR techniques. Under her leadership, Spatialand’s VR platform has created immersive content destinations in projects with Oculus, Intel, Reebok and Linkin Park. Welt has spent the last 3 years as a VR strategy and product advisor. During his career, Jeremy has played key roles from helping launch YouTube’s first-ever commercial deal to working on the Walt Disney Company’s acquisition of Maker Studios. Most recently, he has dedicated himself to consulting, advising and investing in immersive media, including work with award-winning companies like Splash and Mindshow, named “Most Innovative VR Experience” in Upload VR’s Best of 2017.